Dinner Plate Dahlia Fabric Kit. This fabric kit is for the Wall quilt. 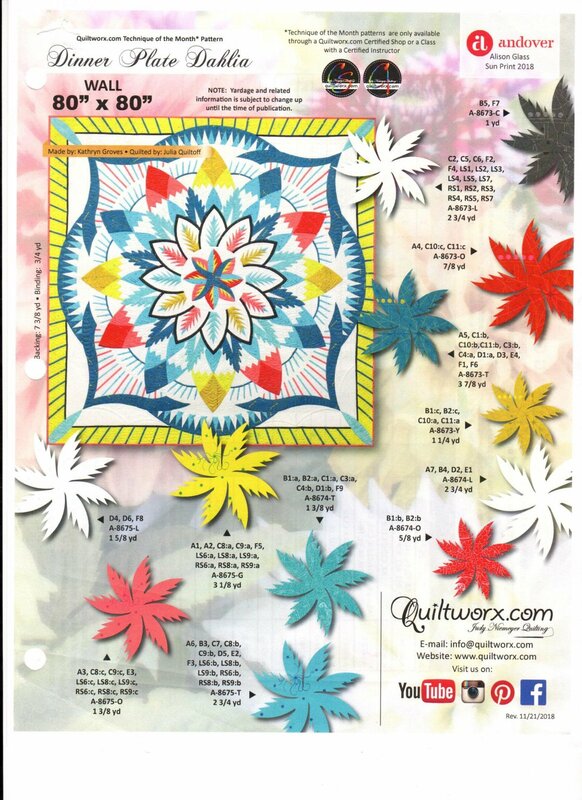 Fabrics are from the Alison Glass Sun Print 2018 collection and is one of the cover quilts in the pattern booklet.